Mass shootings. Racial tensions. The presidential campaign. The Brexit vote. The continuing war against the Islamic State. Hollywood actors and actresses doing stupid stuff. Of all the stories that you read, this is a shocker that you most likely have not read about. A report put out by three investigators, David Kilgour, David Matas, and Ethan Gutmann, detail how the Chinese government has slaughtered 1.5 million people for their organs. You read that right, the Chinese government has slaughtered 1.5 million people for their organs since the year 2000. Most of those intentionally killed were Falun Gong practitioners, although this included political and religious dissidents. 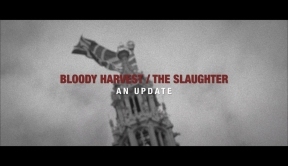 Their report, Bloody Harvest/The Slaughter: An Update, follows an earlier report these three had done back in 2009 detailing how the Communist Party of China “executed” scores of people, had their organs pulled out as they were dying, and then sold these organs at a profit for those who needed transplants. This is medical genocide to put it mildly, and it is a story of an immense crime against humanity being committed at present by the Chinese government. The Chinese military have special designated hospitals for the operation and storage of organs literally yanked out of people still alive. The beneficiaries are those within the Communist Party itself as well as anyone with connections to the Party and people who are extremely ill and have the cash. According to the report, there are 700 known transplantation centers where prisoners’ organs are stored until they are needed by a patient. Since NONE of these “donors” ever volunteered for donating their organs, you can be sure that their organs were taken against their will and worse, these people were slaughtered simply for their organs when those who needed organ transplants “demanded it.” The whole organ transplant business is a vast state enterprise with a network of hospitals (again mostly military hospitals) and execution grounds that harvest the organs from those prisoners freshly killed and their organs stored until they are needed. If all of this sounds too sick, we have to keep in mind the perpetrators of this genocidal affair. From 1947-1952, the Communist Party killed an estimated 1 million to 4.5 million “landlords” in its land reform campaign. From 1950-1953, the Communist Party killed an estimated 700,000 to 2 million “counter-revolutionaries” in its counter-revolutionary suppression campaign. From 1958-1960, the Communist Party killed an estimated 36 million to 45 million in its Great Leap Forward campaign due to crop failures that could have been and should have been prevented. From 1966-1976, the Communist Party killed 500,000 to 2 million people in the Great Proletarian Cultural Revolution that damaged and destroyed much of China for a generation. And now the extermination of the Falun Gong can be added to this unbelievably bloody history of the Communist Party of China (note: I did not include the slaughter of 1.2 million Tibetans by the Chinese government from 1950 to 1979. I should have!). It is a truly terrible tragedy that one of the greatest atrocities of our century has not only not made it a front page headline but cannot even be found mentioned in almost any American newspapers at all.